Not quite as dainty, is she? I made this card for the challenge at Art Impressions "Too Cute to Spook", the Hip to be Square challenge at Simon Says Stamp, the current challenge at ColourQ and I based my card on the sketch at MFT. I stamped and colored the fairy onto some X-Press It cardstock and colored some "ground" for her. I cut the panel with a stitched square die and mounted that onto an Old Olive panel that was 4.75" square. The sentiment is white embossed onto black and comes from the adorable Which Way is the Candy set by MFT. Also in that set is the wee frog and I thought the look on his face went so well with my fairy that I stamped and fussy-cut him out before placing him at her feet. I finished the card by coloring her dress in clear Wink of Stella and her wings and pom-poms in Star Dust Stickles. Brilliant card, not sure which fairy I like best lol. i dont rmember seeing her before, what a beauty. A super cute card, Karren!! 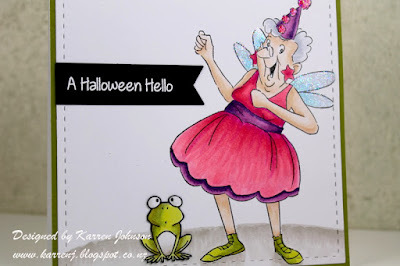 I am posting one on my blog tomorrow with the Birthday Fairy - she's a personal favourite of mine :o) Thanks for joining our Too Cute to Spook challenge at Art Impressions! I was going to say that the look on the frog's face was perfect with that old gal, but you beat me to it! 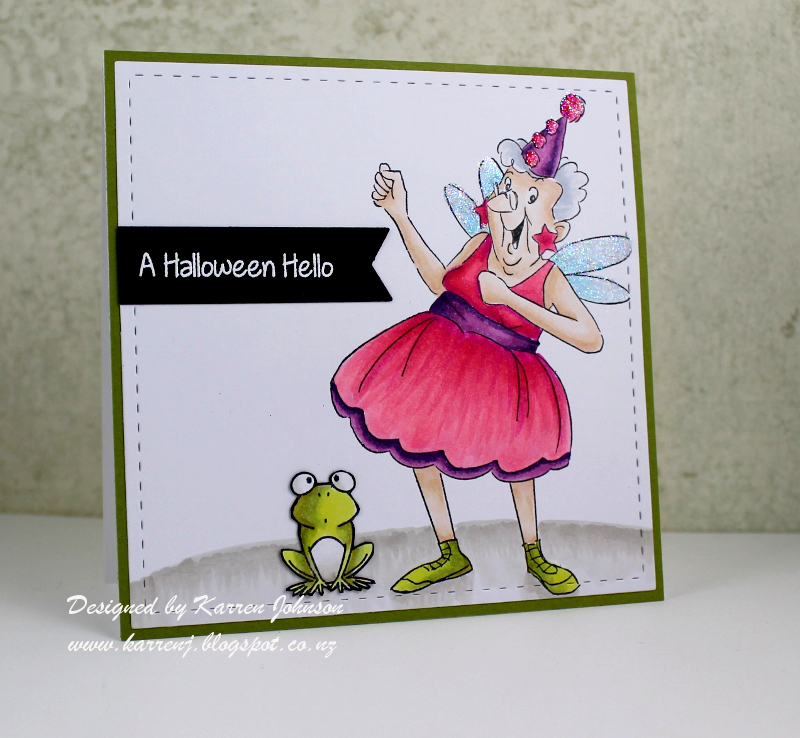 I love this as a Halloween card - there's just something about pinks for Halloween that makes me smile! Oh, this made me smile, Karren! 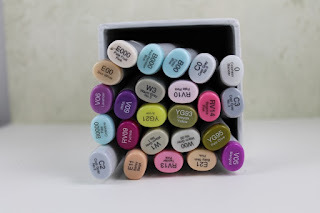 Love this combination of stamps, and your coloring! 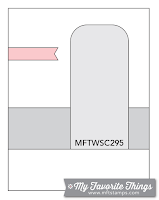 Thanks for taking the time to join us at the Simon Says Stamp Wednesday challenge! So so cute Karen! Gorgeous gorgeous card! 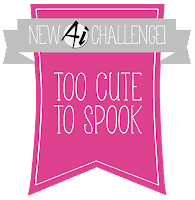 Thanks so much for joining us at the Art Impressions Too Cute to Spook challenge! Ha! She is just fabulous and totally made me smile! super fun card, karren!! the little frog is the perfect finishing touch! It's certainely a Wow fairy card! I'm in love with your fun fairy ! And what a wonderful coloring ! Oh my goodness, how much FUN is this card!! Thanks for the giggles. 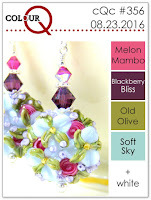 SO happy you could join us at ColourQ! Such a fun card! Love this rockin' granny fairy! 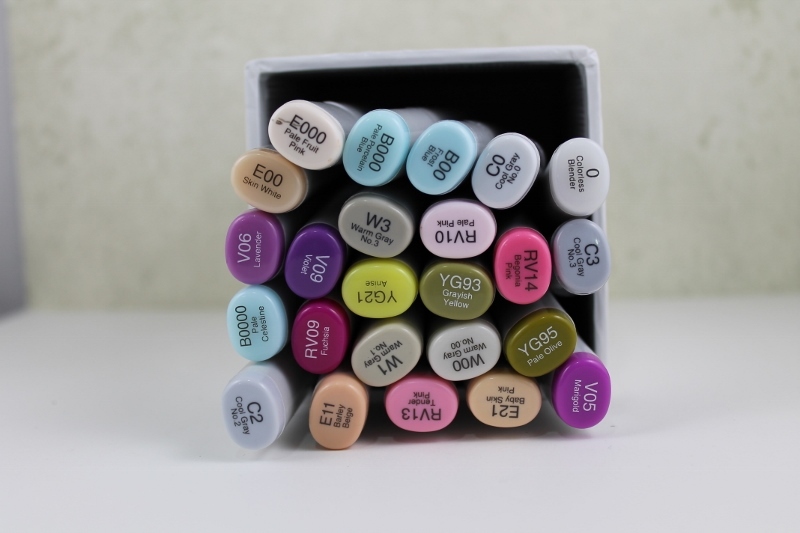 Thanks for joiningh us at ColourQ!